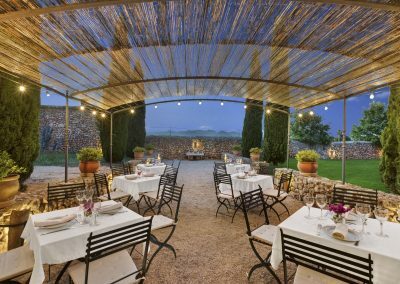 The agriturism Torrent Fals takes it name from the farm to with it belongs, a wine-growing area located in the municipality of Santa María. 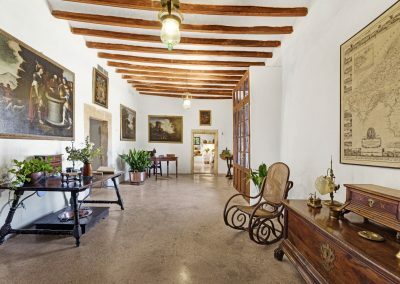 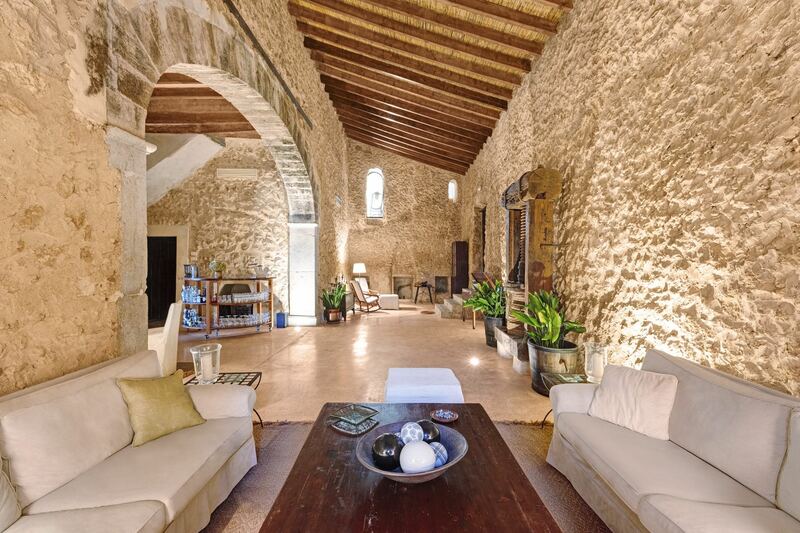 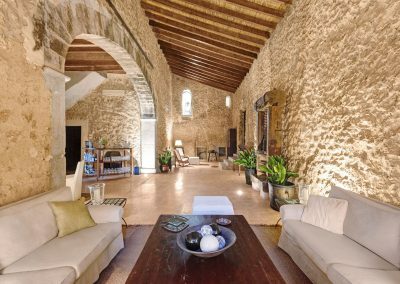 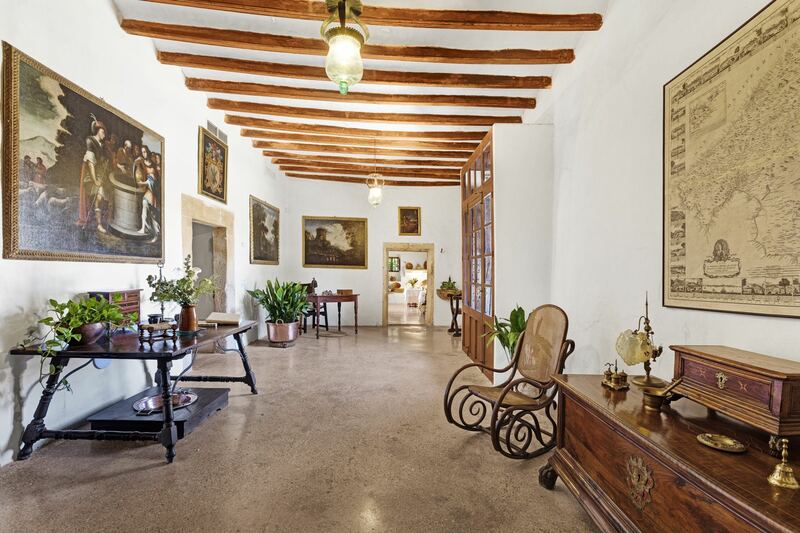 The building, a construction that dates back to the sixteenth century, still retains the Arab trace, the legacy of the people who lived in Mallorca before the reconquest of King James I, in 1229. 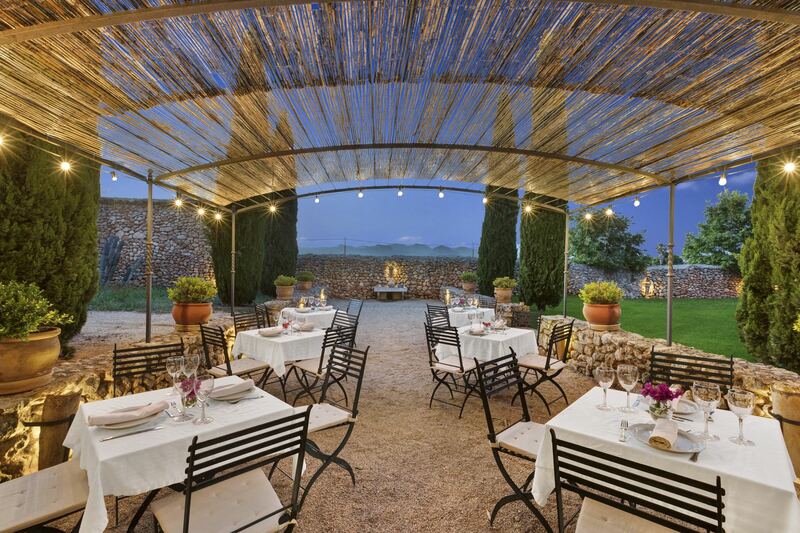 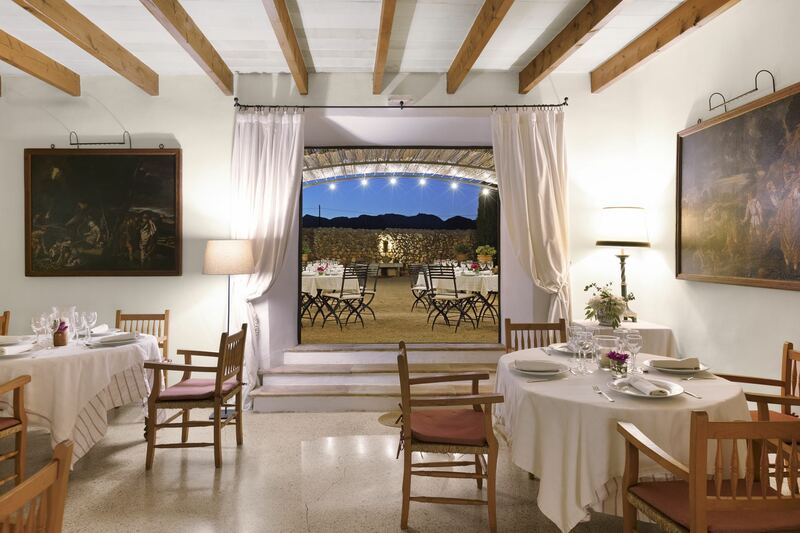 Once installed in the hotel Torrent Fals, just 15 minutes from the airport of Palma de Mallorca and very close to the town Santa Maria del Camí, surrounded by vineyards, and the imposing Sierra de Tramuntana behind us, we will start to live a fantastic experience. 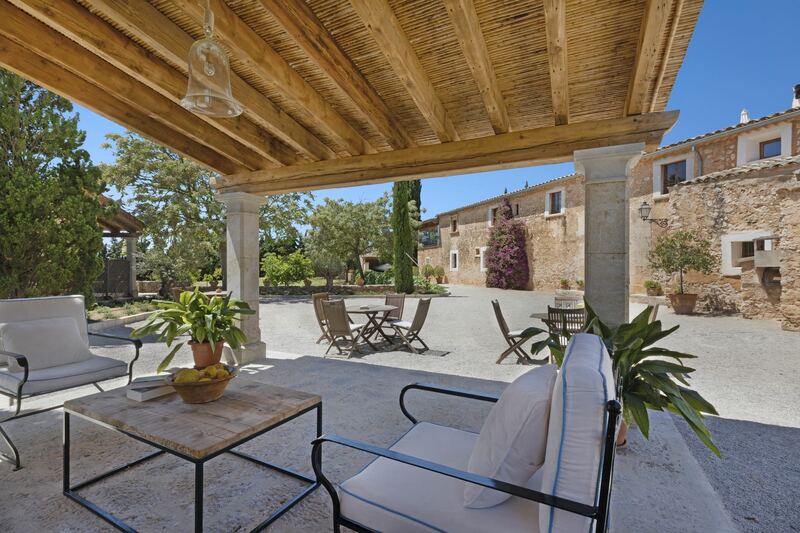 Torrent Fals is just 15 minutes from Palma airport and 5 minutes from the village of Santa María. 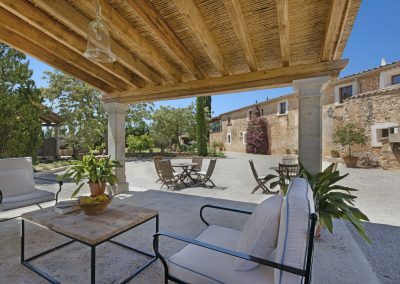 On your arrival you will drive through the vineyards up to the house with the impressive Tramuntana mountain range behind. 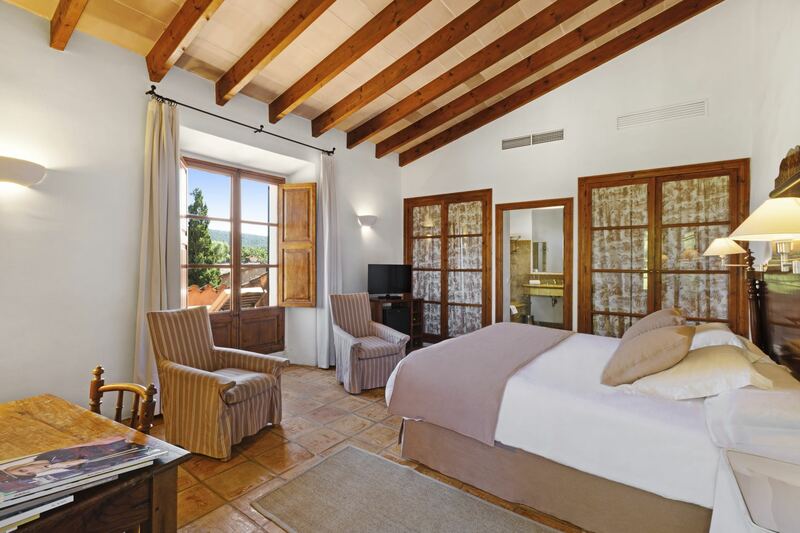 Torrent Fals country hotel offers double rooms or junior suites, as well as the cottage, a little house which is independent from the main building and guarantees privacy and tranquility. . 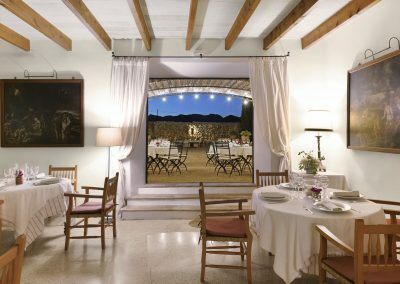 Relax and discover the secret corners of the hotel: the porch, the spacious living area, which used to be where the grapes were stored during the harvest, the fireplace in the dining room. 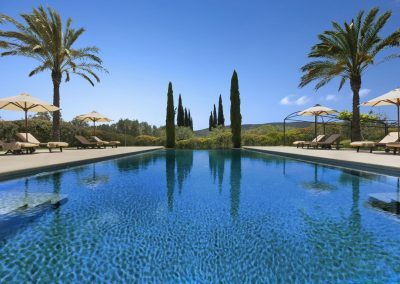 The swimming pool appears as a miracle among palm trees and lavanda bushes.